On June 2, Senator Edward Markey (D-MA) and Representative Carolyn Maloney (D-NY-12th Dist.) introduced legislation to require the retrofitting of handguns with smart gun technology. Smart gun technology operates in one of three ways: 1. Biometric readers embedded in the guns that recognize the owner’s finger or palm prints. 2. A literal code on the gun, like an iPhone screen lock, that has to be entered to make the gun operable. 3. A paired watch or bracelet that has to be within a certain proximity of the weapon to make it fire. Of these, the biometric readers and watch/bracelet paring are predominant. But the problem with both of these is that they are not reliable. From the start, there have been concerns over whether biometric readers can read a palm print if the owner’s hands were bloodied from fighting for his life before retrieving the gun. If the biometric reader fails in that instance, the owner might as well be holding a hammer. 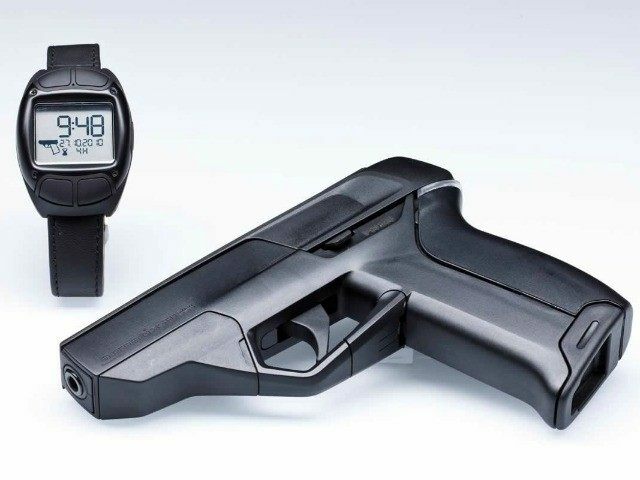 Regarding the paired watch or bracelet option, hackers are already working on ways to jam the signal sent between the watch or bracelet and the gun. This would effectively render the gun inoperable and its owner defenseless. On the other hand, even in situations where a gun paired with a watch or bracelet does work, there is nothing to keep a thief who steals the gun from stealing the watch as well. Which simply means he or she will be wearing a nice watch when they shoot someone. Neither Markey, Maloney, or Warren addressed these problems with smart gun technology. Foll9w AWR Hawkins on Twitter @AWRHawkins. Reach him directly at awrhawkins@breitbart.com.